A spinoff based on the Bermuda Triangle clan from Bushiroad’s popular Cardfight!! Vanguard trading card game. Mermaids are known worldwide as bewitching mythological creatures of the sea. Despite their charms and otherworldly powers, daily life for these beings comes with everyday problems. But there’s nothing that can’t be overcome with the support of friends. 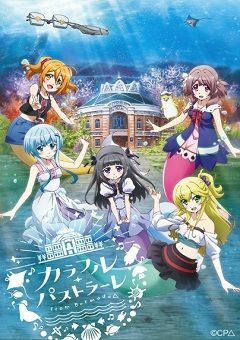 Follow the adventures of five young mermaids as they explore their town and the world around them in this delightful slice-of-life series that takes viewers to an enchanting world beneath the waves.